Over the past few years the Top 100 Clubs poll has been something of a two-horse race. In 2012, Space Ibiza was victorious for the second time in a row, only to be usurped by Brazil's Green Valley the following year. Then, last year, the Balearic king regained its throne... until, you guessed it, Green Valley pipped Space Ibiza to the No.1 spot once again in 2015! This ongoing struggle might be an exciting spectacle, but this tussle is also reflective of a wider dynamic. A 25-year-old venue, probably the most professional in the world, established within the world's leading clubbing destination (Space Ibiza, in case you hadn't got it), competing with an enormous festival-sized jungle club inside what's proving to be the world's most tenaciously emerging nation for dance music (yep, Green Valley). And this time, the latter has snagged it. Why exactly you might ask? Well, as you know, this is a public vote, so it doesn't hurt having Brazilian footballing star, Neymar, the modern day Pele, on your side pushing the club to his 17.5m Twitter followers and 51m fans on Facebook. But to suggest that a successful voting campaign is the sole reason for this club's success is doing it a massive disservice. A second time at the top of this poll is no happy coincidence; you only need to set foot inside this gob-smackingly big auditorium in the rainforest to realise it's something special. A place that combines Brazil's innate love of music with its people's taste for the sensational, Green Valley is a place where the crowd are fully immersed in the thick of it. Whether you're a glitzy VIP popping champagne in a private booth or getting sweaty in the main arena, the sonic experience is 360. Regardless of everything else — the jaw-dropping lightshow, CO2 cannons and confetti explosions — music is aways the main focus; Green Valley is a place where people come to see the DJ, and not just be seen. Names like Afrojack, Showtek, Guetta, Fatboy Slim, Bob Sinclar and Hardwell are just a few of EDM's most wanted who have charged energy in this place to dangerous levels in recent months, while the Underline stage — a new project launched last year — is bringing local talents with deeper, more underground sounds to a smaller side room. Starting out as a big makeshift tent in an open airfield where Carl Cox played in 2007, Green Valley started like all proper raves should, as, exactly that, a massive rave. Since, though, the club has continued to evolve, adding new features into the mix to continually satisfy the high expectations of its classy clientele. An enormous lake, multiple bars, a pizzeria and even a boutique selling merchandise, where girls can get their hair styled, this isn't just a club, it's a tropical mega-mall where you can properly party. 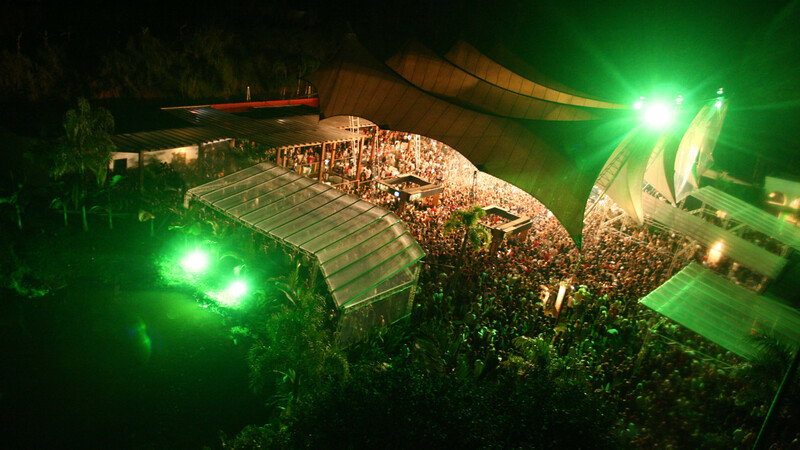 And when the sun rises at 6am to reveal the lush, green plantation of its surrounding valley as the beats are still thundering over its grateful congregation, this venue generates the breath-taking experience all true clubbing greats should do. For profiles and scene guides direct from the world’s greatest night clubs be sure to follow Miller Genuine Draft on Facebook.